Cats are cute, intelligent, cuddly and helpful! The Eyptians worshipped cats as gods, because cats were so important in keeping homes safe and free from mice and other rodents. The Samurai Cat series talks of a wise cat who helps keep the Japanese world safe from harm. 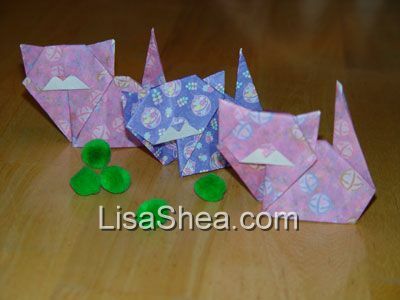 Here are some darling origami cats that would love to be played with. 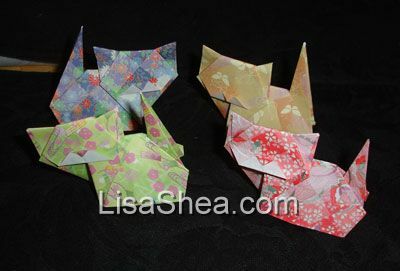 Our origami cats can be made in any color, from simple-one color cats to elegant silver and gold foil cats. We could even work to customize your cat origami to match your own beloved pet!